The Mirage Hotel Group proposes the "Cultural Sightseeing Tours in Milan" offering the opportunity to walk through Milan, discoverig its colours and live its emotions unveiling fascinating hidden part of the oldest town. 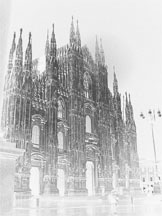 Milan is often better known for its economic importance than for the infinite cultural attractions and historical and artistic heritage it offers. Milan also offers more star sights such as enchanting parks as well as breathtaking corners. For anyone who says Milan saves no surprises or thinks Milan is a grey town, lets find out if this is true. Let’s start walking through the town following our itineraries. The tour groups are composed by the Mirage Hotel Group guests, as an homage and appreciation for their preference. The tour groups are composed also by anyone who would like to join the Cultural Sightseeing Tours in Milan proposed by the Mirage Hotel Group. The tours are free for the first 15 partecipants, maximum 30 people. The sightseeing tours are organized with professional bilingual tour companions (Italian/English - Italian/ French), the visits consist of a city walk and/or by public transport. You can join the Cultural Sightseeing Tours in Milan, strarting when you wish, by personalized itineraries planned for each client. The most ancient part of Milan, founded in 502 B.C (Mediolanum) that was surrounded by defensive walls at the end of the Roman Republic (between III° and IV° century B.C. ), is enclosed by city gates and Pusterle starting from the two main roads that converged towards the Roman Milan, founded by the Galli Insubri, you can identify: Porta Romana (Missori Square) city gate, Porta Vercellina (Magenta Avenue) city gate and Porta Ticinese (Carrobbio) city gate. There were six main city gates: Romana, Ticinese, Orientale, Comasina, Nuova and Vercellina. Following these six main city gates, other 12 minor city gates, called "Pusterle", were built, today the only one which still remains is the S. Ambrogio’s city gate. Starting from Porta Ticinese and the adjacent Porta Romana it is possible to reach important historical churches such as San Lorenzo alle Colonne, Sant’ Ambrogio, Santa Maria delle Grazie, the Sforzesco Castle and the Milan Dome (with more than 3000 statues and 135 steeples). From street to street, wherever you are, you are never far from an ancient hamlet, a monument, a palace, a square, a secret garden well worth taking the time to see.